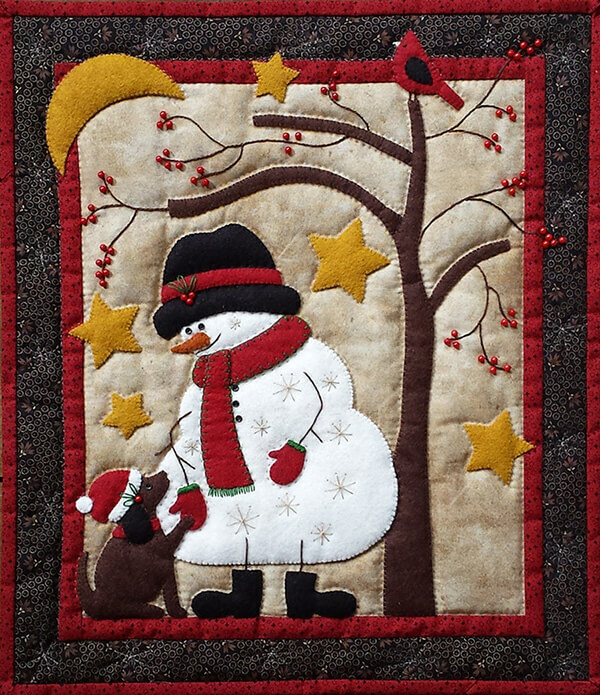 Together under a sheltering tree, a jolly snowman and his loyal pooch share a moment of joy. Bright stars and a crescent moon add ambiance to the still night. Finished size is 13� x 15�. Colors are beige, brown, red, white, gold, and green.